The adventure starts in Bergen, one of the major Hanseatic cities in Europe and a UNESCO world heritage city. An amazing boat ride takes you to Norway’s longest and deepest fjord, one of the world’s most magnificent travel destinations. As part of the fascinating fjord landscapes you’ll see impressive waterfalls, quaint villages, medieval stave churches, hamlets and fjord side farms. Relaxing secondary roads and paths take you to breath-taking places on bike and by foot. 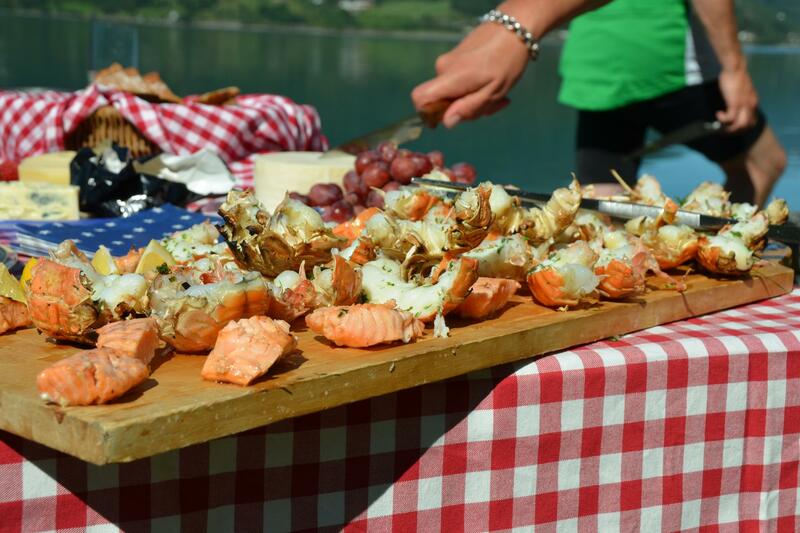 Culinary highlights include: smoked salmon tasting, cider tasting, picnics at the top of scenic hikes overlooking the fjords, and a farm to table dinner at a private farmhouse. This tour in Norway's Fjordland is packed full with experiences and services, most all of it is included and won't cost you extra. Norway still works with the Kroner (crown) and is not part of the EU monetary union. The USD is approximately 0.12 kr to the dollar. 2019 Dates for individuals and small groups: June 1-9 and June 29-July 7. Minimum participation is based on 6, but custom departures for as few as 4 are possible. See Rates. The trip starts on the coast in the vibrant town of Bergen. 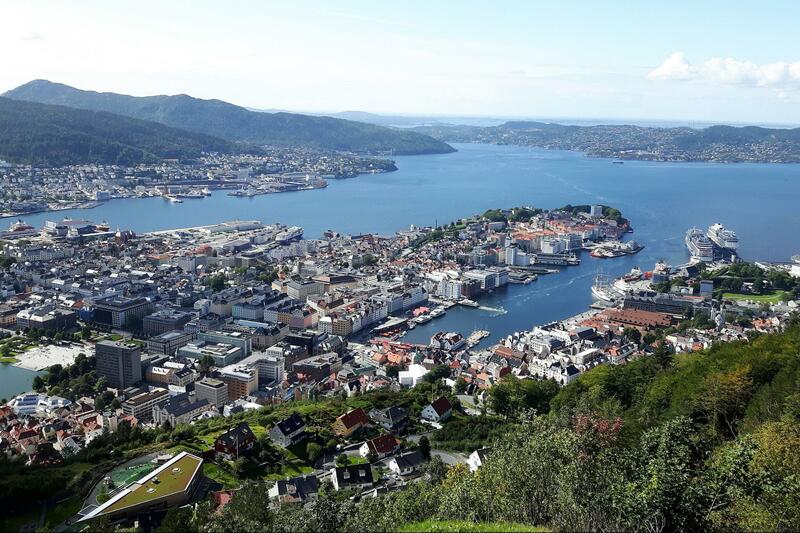 We recommend flying into Bergen and from the airport, we will transfer you to your hotel. Time to explore Bergen! This vibrant and historic city is Norway’s second largest and has so much to offer, including its most famous site, Bryggen. The wooden buildings on Bergen's iconic wharf are reflections of its history in the Hanseatic League. St. Mary's Church is Bryggen's tallest and oldest structure, dating back to 1180. The Hanseatic Museum provides wonderful insight into the daily life of German merchants living and working here during the Hanseatic era. Just beside it is one of Norway's best-preserved fortresses, Bergenhus. The oldest structure on the site, Håkon's Hall, dates back to 1250 and was a royal residence during the Middle Ages. From the top of the famous Mount Fløyen, you can enjoy a bird's eye view of the city from 1049 feet above. You may also enjoy visiting the lively fish market beside Bryggen. Here you’ll find fresh seafood and several restaurants serving a large selection of local dishes. Or, head over to the Bergen Aquarium close to the Nordnes Parc and the city center where you can meet a variety of fascinating creatures including sea lions, crocodiles, fish and snakes. If you anticipate wanting to explore any of the attractions we pass on tomorrow’s bike ride more extensively, arrival day is a good time to do so. Dinner is at a favorite restaurant in Bergen. Day 2, Bergen by bike - traveling to Balestrand with boat. After breakfast, we pick up the bikes at Bryggen. This famous harbor on the west coast of Norway is one of northern Europe’s oldest port cities, established as a center for trade far before the 12th century. Though many recent fires have ravaged the old wooden houses, rebuilding efforts have remained faithful to the original design. Today, some 62 buildings remain from the original townscape. As we cycle, we pass and have the opportunity to visit several of the city’s attractions. After dropping the bikes at the pick-up location, we walk to the nearby port where our boat awaits - departure is at 16.30. The boat takes us to the western islands before entering Sognefjorden, whose glacier waters reflect snow-covered majestic mountains. You’ll admire the small and charming communities nestled along the side of the fjord and the many waterfalls cascading into its waters. As early as the 18th century, Balestrand was known as a popular tourist destination in Europe. Wealthy and distinguished people and artists from other parts of the country and from abroad came to the shores of Balestrand, attracted to the special fjord landscape. You’ll stay at Kvikne's Hotel with its imposing façade facing the fjord, an excellent example of the so-called Swiss style, extremely popular in the 1870's, when the hotel was established. 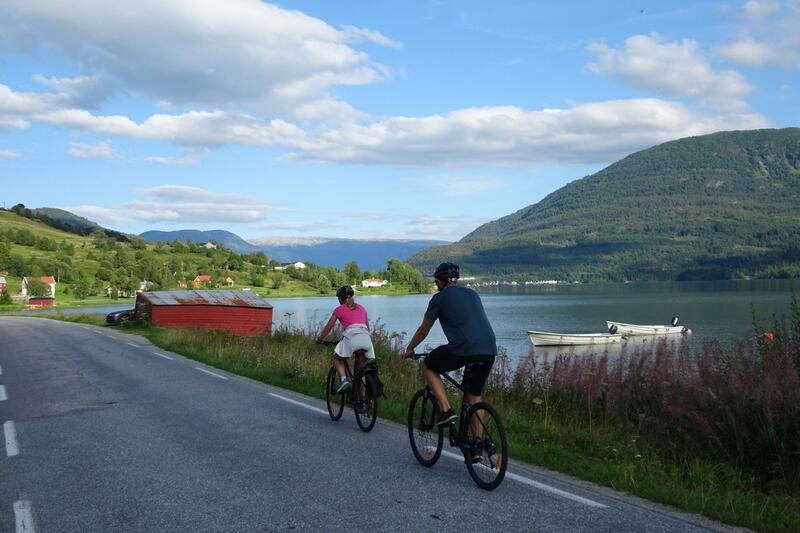 We recommend cycling along the fjord on what is now called King Bele's Road. Here you’ll see a number of former artists’ summer residences built in the dragon style, another popular architectural style from the same period. Many of these houses are well-preserved today and represent Scandanavia’s largest concentration of dragon-style houses. Kviknes Hotel's traditions of hospitality go right back to 1752. The Kvikne family, which owns the hotel today, took over in 1877. Kviknes is a modern hotel with old-world charm and atmosphere and with 190 guest rooms is one of the most traditional hotels in Norway. The hotel is graced with an extensive collection of artworks and antiques, which give it its special style. The hotel is placed in beautiful Norwegian national romantic scenery. The list of prominent guests is a long one. Kaiser Wilhelm II of Germany was a frequent guest in Balestrand. Royalty, emperors, presidents, prime ministers, film stars and artists from many countries can be found on the guest list. Day 3, Balestrand. Hiking Raudmelen. After breakfast, we head out on foot from the hotel to Belehalli sport hall where the path starts and then follow the well-marked red route to Raudmelen. After following the relatively steep path up through the woods, Orrabenken (370 m) offers a nice place for a break with its wonderful view over Balestrand center and the Sognefjord. From Orrabenken we follow the path upwards to Buråsi (575 m,) another fine resting place with a marvelous view overlooking Sognefjord and Esefjella. The path continues to rise along the ridge towards the top, with wonderful views on both sides. One side overlooks the green slopes to Balestrand and the other, dramatic rocky mountainsides towards Esedalen. At the top, we are rewarded with fantastic views over Balestrand and the majestic Sognefjord. 2.5 to 3 hours up depending on stops. We carry our lunch and enjoy a picnic at the top. It is also possible to bike to the start of the hike, and there are plenty of options to take shorter routes in case of bad weather or for other reasons. Cider tasting and dinner at the Ciderhuser Ciderhuset. Day 4, Balestrand. Cycling Balestrand - Menes. 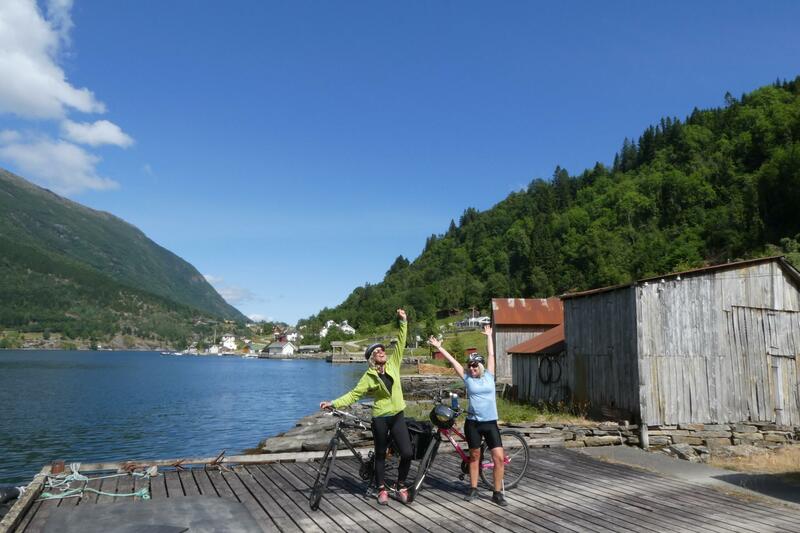 After breakfast, we leave Balestrand by bike to discover other small “arms” of the Sognefjord. The first stop is Esefjorden, known as the most “painted” of the fjords, with its steep, majestic slopes that have been inspiring artists from the 18th century until today. Just before Dragsvik we can visit the Arboretum, which covers an area of about five acres, stretching from the road to the fjord. Here there are more than 150 varieties of trees and shrubbery from around the world. The collection is unique in that it’s presented according to geographical connection (Europe, the Himalayas, China, etc.) rather than by family or genus, as is often the case in other botanical gardens and arboreta. Afterwards, there may be time for a refreshment break and a bath (swim?) at the recreation area near the fjord. From here, we pay a visit to the local salmon smoker, Mr. Inge Menes, for a taste of his fish. Next, we continue along quiet roads beside the fjord, passing mountains, picturesque farms and hamlets along the way. All day you will enjoy wide and wonderful views of the fjord with different peaks and valleys coming into view as we go along. For the last 5 km before Menes, we bike on a lovely little branch road. Arriving in Menes, we enjoy the local lunch outside in nature before heading back to Balestrand the same way we came. If desired, it’s also possible to book a transfer or a boat ride back to Balestrand (cost depends on number of people.) Back in Balestrand, we enjoy the Dinner (buffet) in the Kviknes Hotel. Day 5, Balestrand - Hafslo. Cycling Leikanger - Sogndal. Today we enter the inner part of Sognefjorden and take the fast boat at 11.50 from Balestrand to Leikanger, with our bikes in tow. It’s also possible to bike from Balestrand, cycling Esefjorden again to Dragsvik and take the ferry to Hella (cyclists ride for free on this ferry.) From Hella to Leikanger is 12 km. 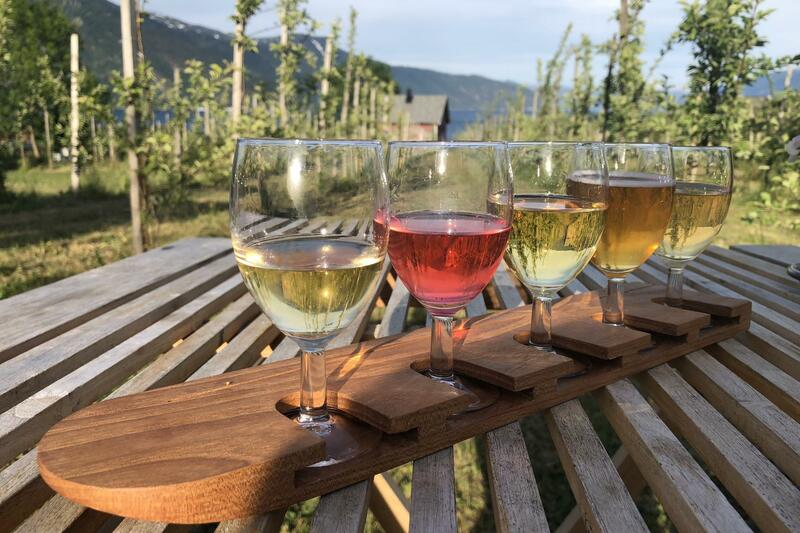 Sogn is the oldest fruit growing area in Norway. If you visit the area in the spring, all the fruit trees are in blossom, and beginning in August, they will be decorated with red apples and purple plums. We cycle from the quay in Leikanger to Henjatunet for lunch. 3 km flat and then uphill http://henjatunet.no/. Marit and her family serve lunch in the old farm house, where we’ll also have a chance to hear the story of the farm. People have been living in this area since the time of the Vikings and the food we enjoy is locally produced. 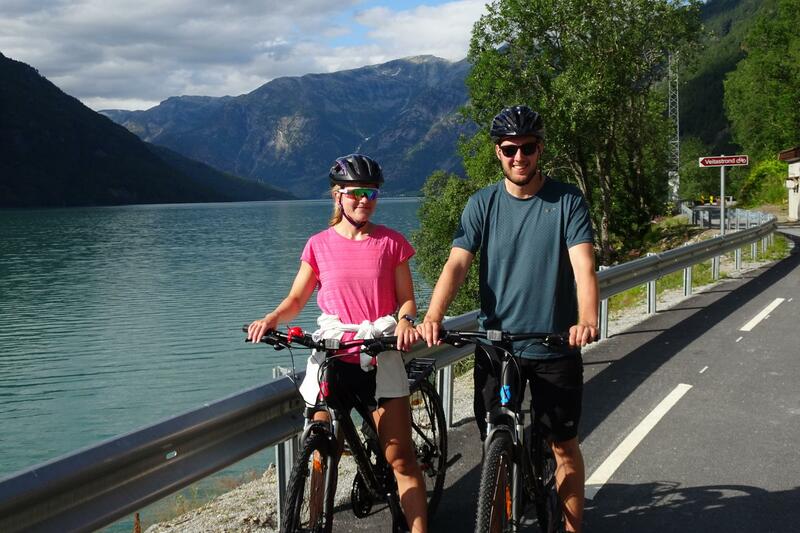 After enjoying a traditional meal with a view, we will enjoy a bike ride to Sogndal, 22 km. The last stretch into Sogndal we will use a bike path and through Sogndal there is a biking path by the fjord. You will find shops and cafes in old Sogndal as well as a shopping center. We spend some time in Sogndal, the regional center, before driving (also possible to bike*, + 19 km) to Hafslo and Bestebakken Hotel. *You cycle along Barsnesfjorden. When it ends there is a 2 km uphill climb until you see Hafslo, beautifully placed by the lake of Hafslo. The last 2 km from Galden to Hafslo is on a bike path. The dining room in Bestebakken is in the original building, which is well-preserved and dates back to 1910. Mrs. Lindis, our hostess, serves local, traditional homemade food and the ingredients are selected from local distributors or gathered from the garden at Bestebakken. 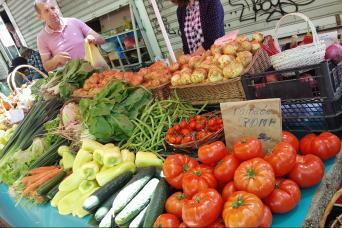 They have developed and composed products and dishes that are both healthy and tasty – and a true experience for the senses. The hotel is located just above the small center of Hafslo and has a beautiful view. BesteBakken is located in the heart of Luster in Sogn og Fjordane. The place is created and built around the original Bestestova in Bakken, majestically placed high up on the hillside overlooking the entire Hafslo. Here lived Ola Alme. Day 6, Hafslo - Molden. Hiking Molden. After breakfast we depart by bike and ride 7 km slightly uphill, until we reach the start of the hike. For the first 300 meters we follow the forest track and after about 1 km we take a new trail for about 600 meters. From here, the path rises steeply and after a little climb we reach Svarthiller, with its spectacular view over the fjord towards Ornes on the other side. Leaving Svarthiller, the path turns and winds its way past steep crags before leveling out. We reach the top of Molden, at 1116 m above sea level. The best view is to the east, over the innermost parts of Lusterfjorden with Nes and Høyheimsvik in the foreground. Molden is described as "the finest viewpoint of the Sognefjord," with its panoramic view of the fjordarms and the high mountains of Jotunheimen that you can admire from the top. We will take a break in the stone cabin at the top, where we can continue to take in the amazing views over our well-earned picnic lunch. 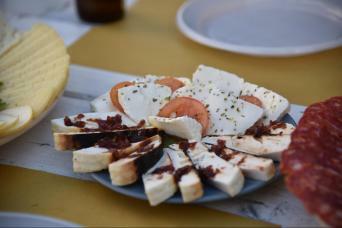 We then head back to BesteBakken to relax and enjoy another delicious dinner. It’s also possible to hike to Hongi with views of Veitastrond and Lake Veitastrond. Day 7, Cycling Hafslo - Solvorn - Skjolden. Today we start with a 6 km ride on the bike path to Galden before we cycle down to idyllic Solvorn. This small village with its white wooden houses was built when the fjord was the most important source of communication - here the fjord is deep enough so big boats could come to dock. We take the small ferry at 10.00 for a 20 minute ride to Urnes. We cycle up the 700 meters to Urnes Stave Church, a UNESCO-protected property. Stave churches are Norway’s most important contribution to European cultural heritage. From the church you can enjoy a great view of Solvorn, beautifully situated in the fjord landscape. We leave Urnes via the small roads along Lusterfjorden, the innermost arm of the Sognefjord (and the finest, naturally)! In Kroken, we pass “Vetlabui” a self-serve refrigerator with jams and juices for sale should you need a snack or beverage. About half way through the ride, we pass the impressive 218 meter high Feigumfossen waterfall - up will need good shoes as the ground is very wet. You can admire the view from the road and have a swim in the fjord or choose to take the 40-minute walk up for a closer look and a refreshing natural shower. A small café near the fjord may be open, and the area by the fjord is also a good place to enjoy our picnic with local products from the fjord. During the last stage of the ride to Skjolden we’ll enter two tunnels that will require the use of our lights. 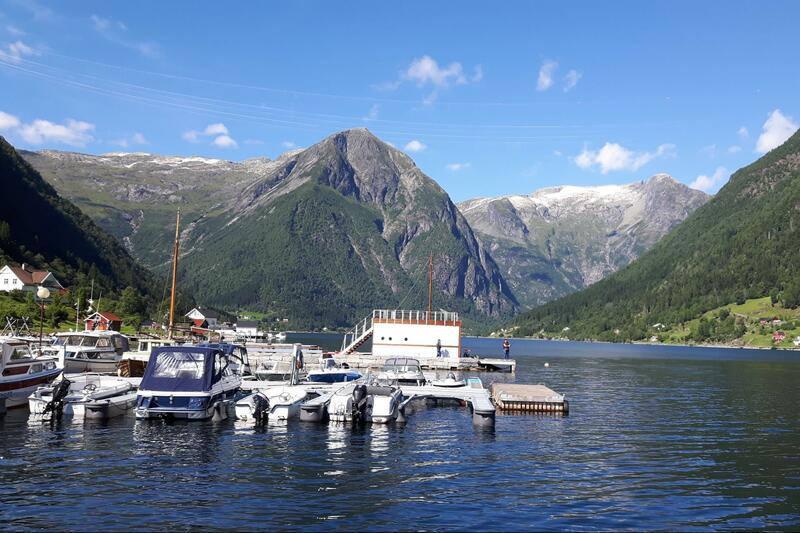 We arrive in Skjolden – the far end of the Sognefjord, where we stay overnight in Skjolden Hotel. Time to enjoy a drink on the terrace of the hotel or have a swim on the public beach. After a shower in Hotel Skjolden, we drive to Luster (10 km) in the early evening/late afternoon. Today we are making our own Norwegian dinner in spectacular surroundings, right by the historic Dale stone church, dating back to the 17th century. Located by the fjord, the views to the mountains are spectacular. In the “Prestegård” we have the big kitchen to use and are going to make and enjoy a 3 course dinner. 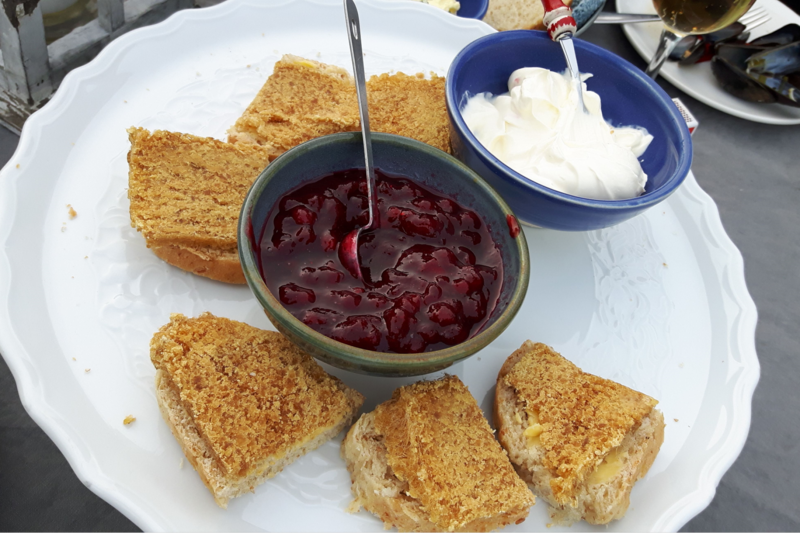 We will divide into small groups and make one dish each, starter, main course and dessert; all typical Norwegian food and you will off course get the recipes. In particular, you will learn to make Norwegian “flatbrød” – flat bread that have been an important ingredient in Norway for centuries. On the flat bread we put different things, meat, fish or cheese with our without rømme – the Norwegian sour cream. The main dish will be fish or meat – with potatoes! Since we are in the most northern fruit growing area in Europe we prepare a dessert from the seasons fruit or berry. In Sogn, we have a long-time tradition of making cakes, so most likely we will be making a special cake! It is said that Skjolden got the first guesthouse in 1818, run by Rudolf Kramer. Since then it went through several hands before family Galde owned and ran the place from around 1908 to 2013. The hotel was in a period owned by an investor before Aslak and Siri Dalehaug bought it in 2015. During the fall and winter 2015 / 16 the hotel has received a substantial refurbishment to create a new and modern touch. Day 8, Skjolden - Jostedalen - Gaupne/Marifjøra. Hiking to the glacier. From the hotel, we drive to Jostedalen after breakfast. It’s about a 45 minute walk to the front of the glacier and you can visit the Breheimsenter (see below) either before or after. It’s also possible to take the boat across the lake in front of the glacier (cost 67 NOK pr person.) You may also arrange (in advance) a hike on the glacier. The Breheimsenter is an authorized National Park Centre for Breheimen and Jostedalsbreen National Parks. These two National Parks have 9 of the 30 largest glaciers in Norway, with Jostedalsbreen being the largest, at 474 km2. 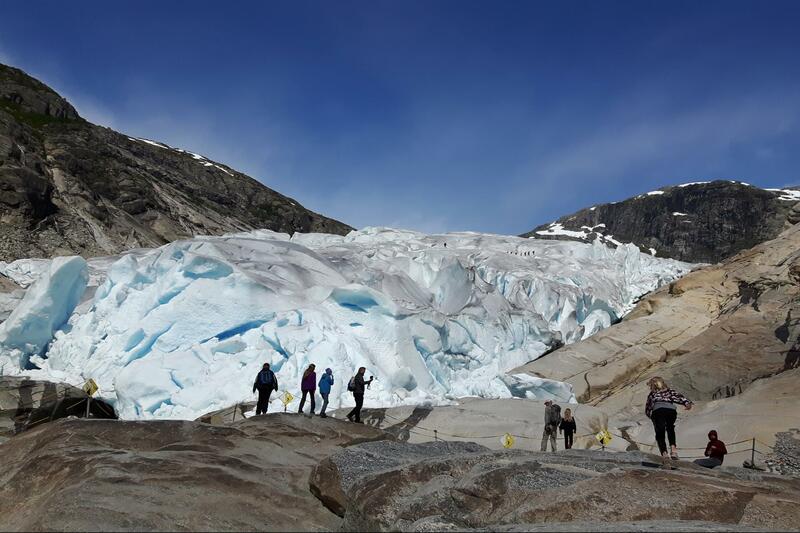 The Breheimsenter has an interactive exhibition that covers Jostedalen, Jostedalsbreen & Breheimen National Parks and focuses on climate and glaciers. In addition, there is a movie which takes you on a tour around the glaciers through the years. Transfer to the hotel in Sogndal for our last night by the fjord. Enjoy a traditional cooking class and a private dinner. We will have our last dinner of our tour in Hofslund Hotel, which has a wonderful view of the fjord. We strongly recommend a stroll on the fjord path after dinner! Hofslund Fjord Hotel is located in the center of Sogndal and is a family-run hotel from 1912. It is now the fourth generation of hosts who welcome you. Most rooms have fjord views and a balcony. The hotel has its own garden, outdoor swimming pool, jetty and rowing boats. From the garden you can enjoy the beautiful view of the Sognefjord. Departure after breakfast, returning as a group via the fast boat to Bergen. This ticket is included in the tour. From Bergen you can fly out directly or connect through Oslo. Ask us for extra nights or help with stop overs; we are happy to help you coordinate and extend your stay in this beautiful country! • Bikes along the fjord, bike is equipped with light, rear rack with one bag, lock and helmet. Rates are based on minimum of 6 participants. for groups of more than 8 contact us for rates. Private departures available: Contact us with your dates and we will send a quote. Hybrid Bike Rentals are included. See the Bikes and Gear tab for details. Arrival Info: Participants can fly directly into Bergen or transfer in Oslo and come by air or train from there. Norwegian Airlines has well known low fares that travel directly to Bergen from key international cities. Once you arrive in Bergen, we will transfer you to the first hotel. We are happy to help with stop overs in Oslo or other cities, please inquire. 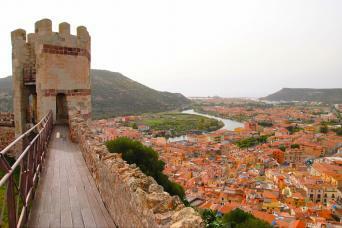 - This is a guided 8 night, 9 day tour. Open departures are shown but Private Group departures are always possible. Please contact us to know more. 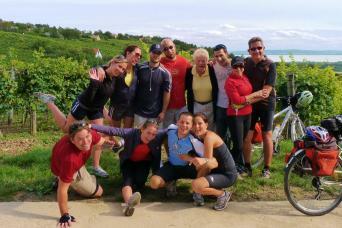 As a premier boutique biking and hiking tour operator that offers private, custom, independent and guided travel in Europe, Asia, South and North America, we specialize in hand crafted travel for couples, families and groups who want active, immersive and meaningful experiences with their family and friends. Our travel experiences are customized around outdoor activities including: cycling, hiking, water sports, trail running, mountain biking and more. Merete: your guide leader and trip support contact on the ground throughout this trip, Merete is from the region and knows it so well! "After a degree in marketing, I have spent the last ten years working with cycle tourism, ensuring quality and great service for biking enthusiasts. 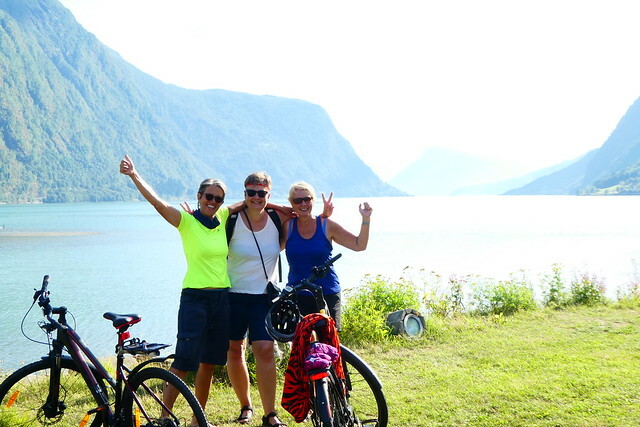 My greatest wish is for you to discover how wonderful it is to travel alongside the Sognefjord by bike and really have time to see the fjord landscape at it´s best"
Our vehicle of choice is a sporty hybrid bike model from Scott. Keeping the weight down and the comfort level high, we aim to give you a nice riding position and an easy way of getting on and off. This bike works well on the road as well as gravel surfaces. The bikes are fitted with a lock-out suspension fork and hydraulic disc brakes to make sure you stop in all weather conditions. Our bikes are regularly maintained and well-looked after. We offer hybrid bikes in different sizes with bags, lights, luggage rack, kickstand and reflective panels. Hybrid bikes included in the tour rate.